I have been a practising podiatrist for 37 years and a certified acupuncturist for 27 years. Since including acupuncture into my private practice late in 1991 I have been combining my podiatric and acupuncture skills. During most of that time I have also lectured part-time in undergraduate podiatry courses in orthotic therapy. More recently I have also presented lectures and workshops in acupuncture for podiatry students at UWA, Galway University, Huddersfdield University, QUT, UniSA and Metropolitan in Birmingham. For five years, I was team podiatrist for the Australian A League Football team, the Perth Glory. For the next 5 years I have been the sports therapist for a top rate under-age AFL football team and was WA State Minor Gaelic Football sole therapist for two Australasian Carnivals. Since then I have have providing my skills to my local amateur AFL club. My association with sporting teams always involves providing hands on treatment at training sessions and games. I have been conducting practical Podiatry workshops nationally and internationally for over 15 years. It has been my mission to unravel the most effective acupuncture treatments for conditions commonly being presented to Podiatrists and pass this on to my profession. These were never self evident from the training I received. They have the capacity to make a profound difference to clinical outcomes and thery do. In 2013 I was awarded the Australian Podiatry Council Hall of Fame recognition. However, I am not about to retire! 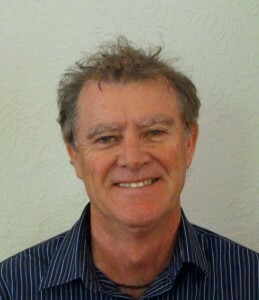 Clinical Podiatrist at Acupuncture in Podiatry presenter of practical training courses in Australia and Internationally. Clinical Podiatrist in Azure Podiatry Group and Ellenbrook Essential Therapies. Clinical Senior Lecturer, School of Surgery, Faculty of Medicine, Dentistry and Health Sciences, Podiatric Medicine Unit, University of Western Australia. Founder and Managing Director of Artisan Orthotic Laboratory.